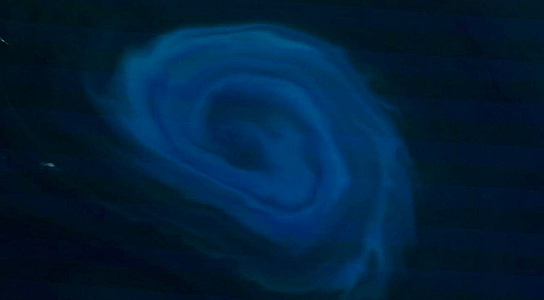 Deep below the ocean’s surface, huge eddies are often formed. The depths have their own kinds of weather systems. NASA’s Terra satellite captured this photo of a gigantic plankton-fueled eddy that was released. The eddy is completely submerged under water. Unlike terrestrial storms, ocean whirlwinds draw nutrients from the deep, nourishing blooms of microscopic marine life in the otherwise somewhat barren open ocean, fertilizing the surface waters. 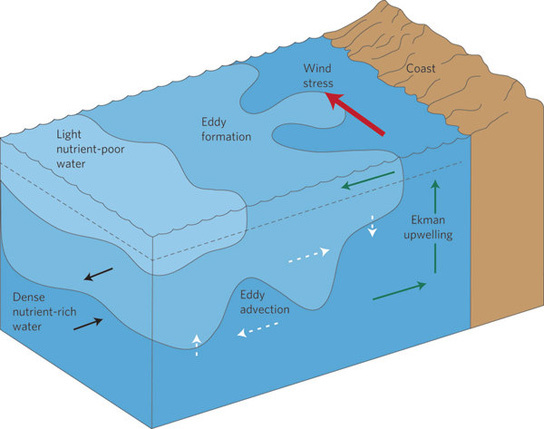 Eddies spin off from major ocean current system and can last for months. Researchers think that this 93-mile wide anti-cyclonic eddy peeled off the Agulhas current, which flows along the south-eastern coast of Africa to the tip of South Africa. Agulhas eddies or current rings tend to be the largest in the world. 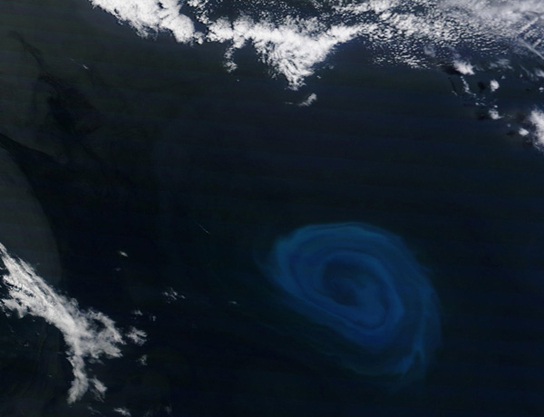 This eddy is visible from space, and because of its life-giving properties, it’s slightly bluer than the surrounding water, thanks to the blooming plankton it contains. The swirls have been measured up to 150 kilometers (93 miles). 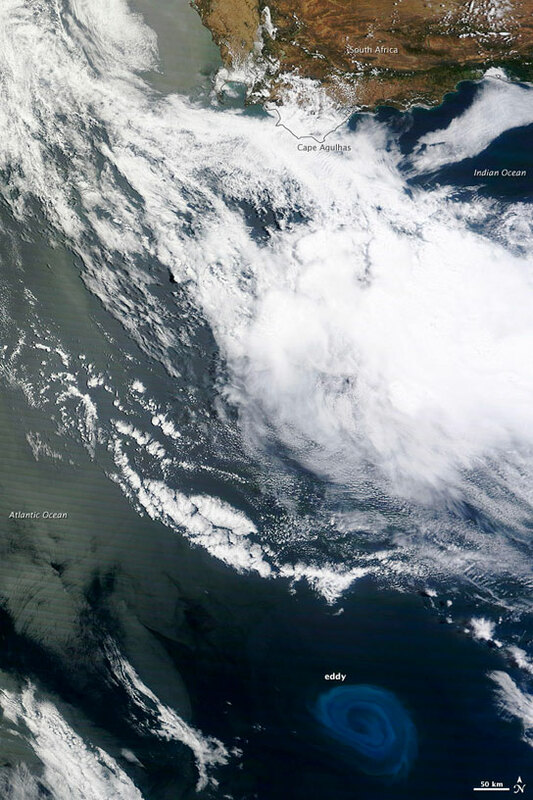 The natural-color images of the deep-ocean eddy were captured by the Moderate Resolution Imaging Spectroradiometer (MODIS) on NASA’s Terra satellite, 800 km south of South Africa. The huge masses of spinning water in whirlpool patterns can rotate either clockwise or counterclockwise, and can stretch for hundreds of miles, lasting months. 3 Comments on "Plankton-Fueled Agulhas Current Ocean Eddy is 93 Miles Wide"
Thanks for the information about our coastline – this is amazing to see! When was this photo taken? Has science observed an increase or decrease in these formations? The photo is from December 2011…We haven’t heard any follow-up on whether these formations have increased or decreased since this article was published in February 2012.